Harald Roesch, CEO at Melita (centre) together with Robert Runza, managing director at Ozone (left) and Malcolm Briffa, director of business services at Melita. Melita, Malta’s leading telecommunications operator, has announced the acquisition of the local operations of Ozone, a licensed operator specialised in servicing business customers. The transaction is subject to regulatory approval. “This acquisition complements strategic investments made in recent years to strengthen Melita’s and Malta’s offering to business clients. We see Melita as an enabler for local businesses wishing to leverage digital technologies. 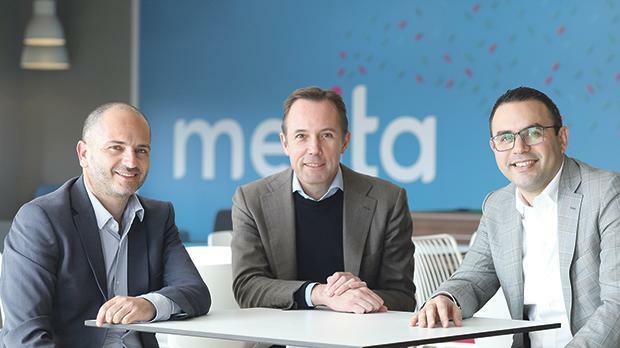 Similarly, we provide solutions for international companies in key industries such as gaming, financial services, DLT and AI to ensure they consider Malta as their natural home in Europe for establishment and growth,” commented Harald Roesch, CEO at Melita. Established over 15 years ago, Ozone is a boutique service provider specialising in B2B services primarily offering cloud PBX services, network infrastructure, Wi-Fi hardware and software solutions, hospitality solutions, as well as business broadband and fixed-line telephony over its own wireless network. Backed by Melita’s state-of-the-art data centre, resilient international connectivity, fibre presence in business centres as well as nationwide gigabit internet and a brand new 5G-ready mobile network, we are confident we are placing ourselves in a better position to offer a stronger and better service to new and existing clients,” Ozone managing director, Robert Runza said. “Ozone’s services portfolio complements the current offering of Melita Business and will fit in well with our approach of offering a one-stop-shop telecommunications service to business clients. Beyond the products we share similar commitment to dedicated and quality customer support,” added Malcolm Briffa, director of business services at Melita. Operating under the brand “Ozone by Melita Business”, this unit within Melita Business will ensure continuity to existing clients, while leveraging Melita’s infrastructure to offer wider service portfolio and improved quality of service. More information about the companies is available at www.melitabusiness.com and Ozone at www.ozone.com.mt.